The excellent light yield proportionality of europium-doped strontium iodide (SrI2:Eu) has resulted in state-of-the-art γ-ray detectors with remarkably high-energy resolution, far exceeding that of most halide compounds. In this class of materials, the formation of self-trapped hole polarons is very common. 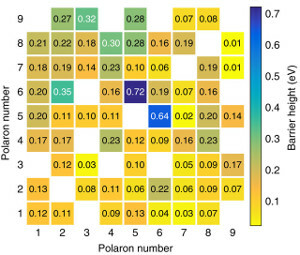 However, polaron formation is usually expected to limit carrier mobilities and has been associated with poor scintillator light-yield proportionality and resolution. 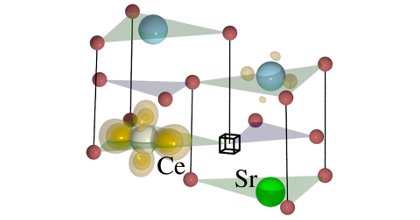 Here using a recently developed first-principles method, we perform an unprecedented study of polaron transport in SrI2, both for equilibrium polarons, as well as nascent polarons immediately following a self-trapping event. 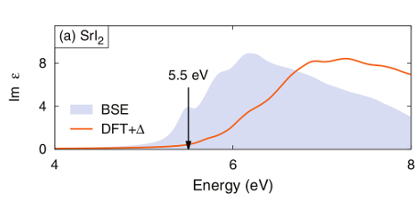 We propose a rationale for the unexpected high-energy resolution of SrI2. We identify nine stable hole polaron configurations, which consist of dimerised iodine pairs with polaron-binding energies of up to 0.5 eV. They are connected by a complex potential energy landscape that comprises 66 unique nearest-neighbour migration paths. 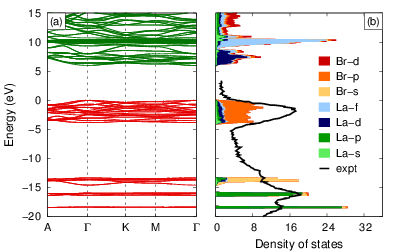 Ab initio molecular dynamics simulations reveal that a large fraction of polarons is born into configurations that migrate practically barrier free at room temperature. Consequently, carriers created during γ-irradiation can quickly diffuse away reducing the chance for non- linear recombination, the primary culprit for non-proportionality and resolution reduction. We conclude that the flat, albeit complex, landscape for polaron migration in SrI2 is a key for understanding its outstanding performance. This insight provides important guidance not only for the future development of high-performance scintillators but also of other materials, for which large polaron mobilities are crucial such as batteries and solid-state ionic conductors.